This post is the Day 11 assignment for my Blogging 101 class. 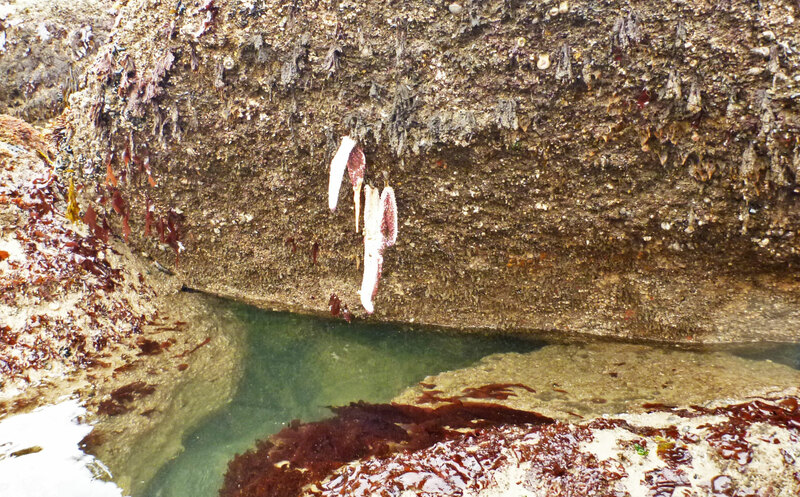 It’s been this way as far as anyone can remember, and the predictable intertidal zones and regular occurrence of their inhabitants, have seemed more or less immutable, but that’s naive, and neither the starfish nor Paine’s wonderful system is infinite. 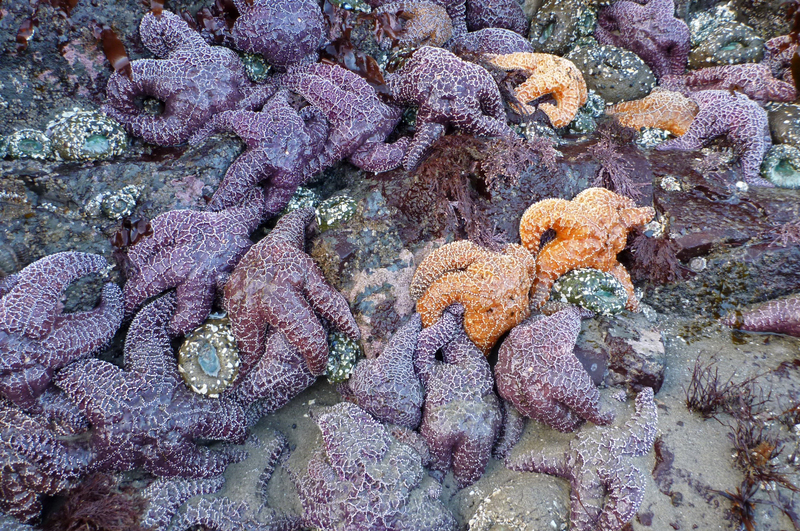 In early 2013 we started to hear a lot about sea star wasting syndrome, a disease that has significantly reduced starfish of all along the Pacific coast, USA, and beyond. I described the progression of Pisaster ochraceus decline at a site in northern Oregon in A Peek at Pisaster After Two Years of Sea Star Wasting Syndrome. Here, there has been little Pisaster activity for well over a year. Pisaster seems to be slowly bouncing back, but it’s going to be a while before we see them at abundances we are used to. Losing a keystone predator in any ecosystem is a big deal. What changes are in store for the rocky intertidal? So can you clear up the sea star versus starfish nomenclature? I’d never heard sea star until I was kayaking in Maine last September. Are they different creatures or the same? Thanks for the post!